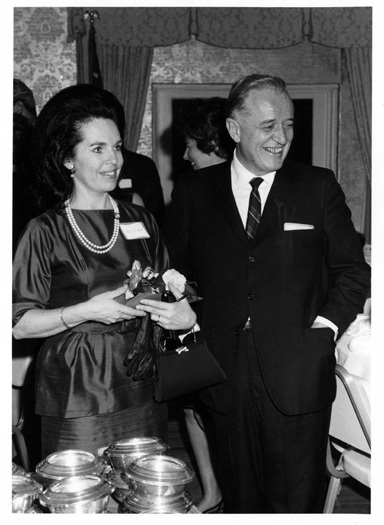 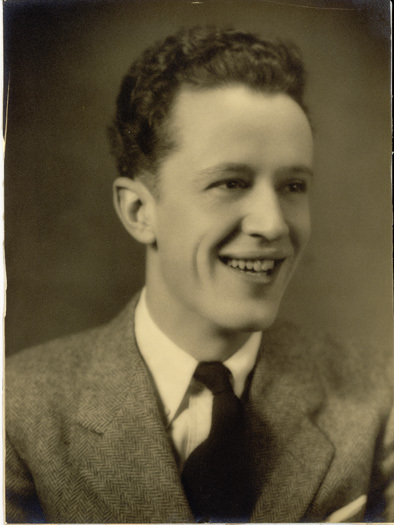 Family & Education, With Integrity and Dignity: The Life of James W. Colbert, Jr., M.D. 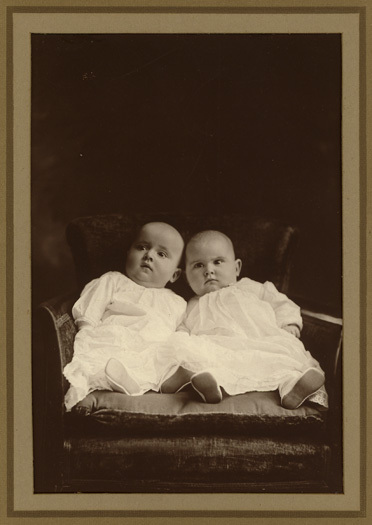 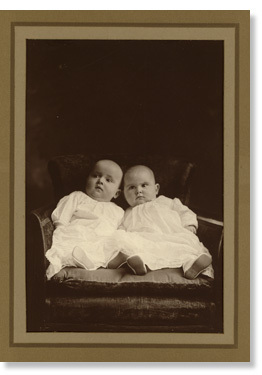 James (Left) and his twin sister, Margaret, 6 months old, 1921. 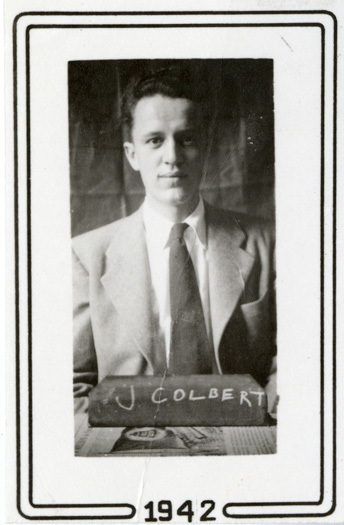 In 1942, Colbert was accepted into the medical program at New York’s Columbia University, College of Physicians and Surgeons where he concentrated on immunology and infectious diseases. 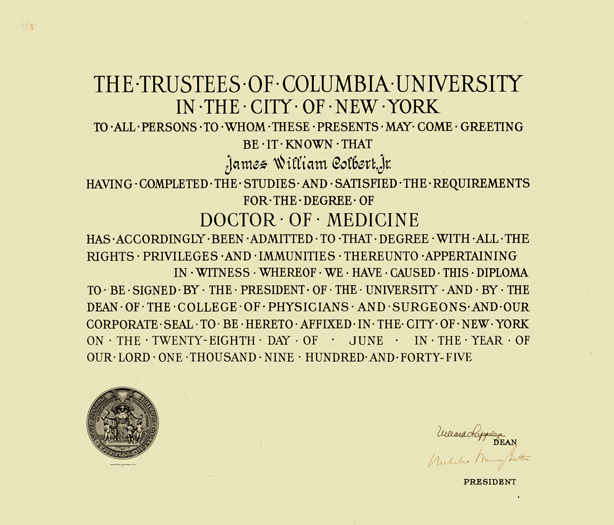 Colbert earned his M.D. 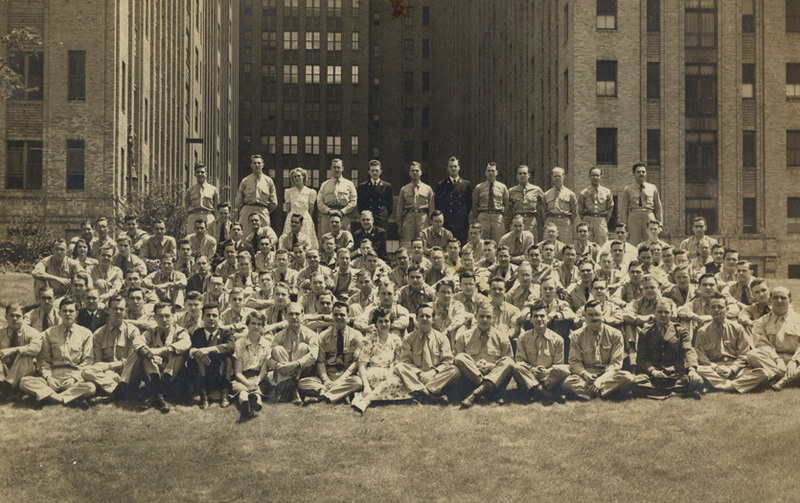 degree in 1945 and completed an internship at Bellevue Hospital in New York City before joining the U.S. Army Medical Corps in 1946. 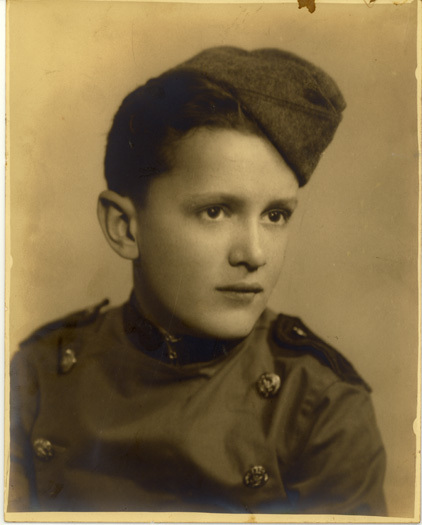 Captain Colbert spent a year in Europe with the Medical Corps before completing his residency at Yale University School of Medicine. 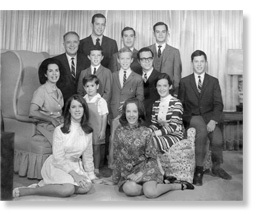 Family and faith were essential to Dr. Colbert and both played significant roles in his life decisions. 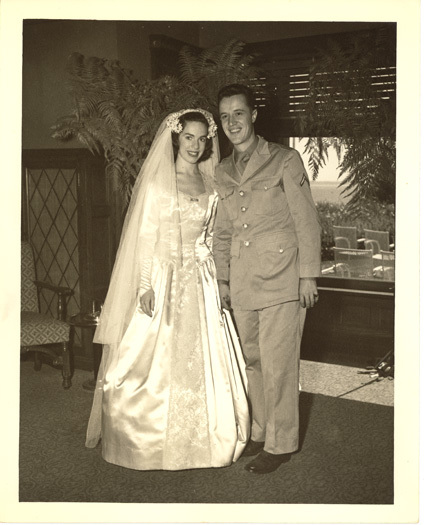 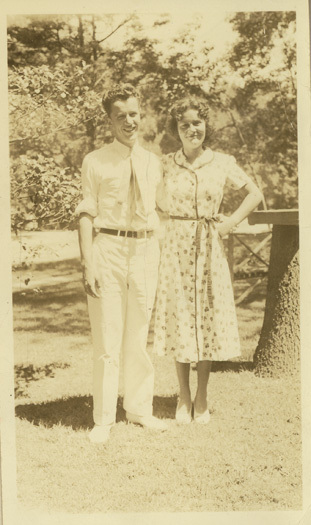 On August 26, 1944, at the age of 24, Dr. Colbert married his childhood sweetheart, Lorna Tuck. 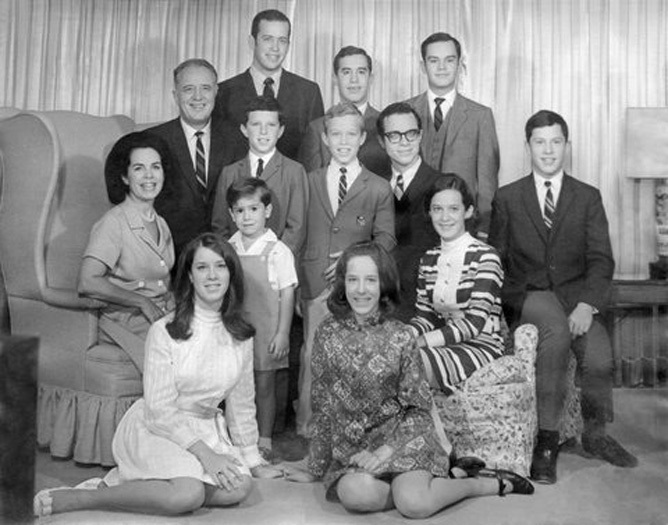 They immediately started a family and ultimately raised 11 children.